In the late 90’s I worked at a leading non-profit that raised more than $50 million from its national walk campaign and more than $80 million from its cycling campaign. I remember sitting in a conference with staff from chapters across the US, brainstorming what would be next… Many believed that walks, runs and rides would run their course; that the market was becoming too saturated with these events and the ‘trend’ would soon die out. 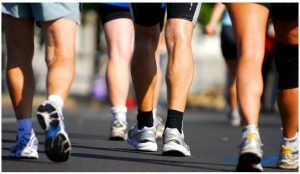 Now here we are, well in to the next century, and while revenue of the largest campaigns has slowly declined over the last several years, walks, runs and bike rides still dominate non-profit event fundraising. The 30 largest US peer-to-peer campaigns generated more than $1.52 billion in 2016. * Each year, many non-profits decide to dip their toe into the walk/ride/run fundraising pool for the first time. If you’re considering launching one of these campaigns, or already have one but want to see greater return, here are some key things to keep in mind and some best practices to guide you. Walk, run and ride events are powerful because – when done correctly – they are far more than a fundraising event. Peer-to-peer campaigns can serve the whole of your mission, lifting up your programs and services as well as funding them. Your participants become your ambassadors. As you educate registrants to be fundraisers, they’re learning more about what you do, how your programs impact your mission, and gaining greater understanding of the impact of your organization. Then they’re sharing that with everyone they ask for a donation, leaving the one asked more informed than they were before. Event day is a tremendous opportunity to inform and engage. The start/finish site should be a platform to share your most important messages; infuse it with rich information about all facets of your organization. Set up an advocacy booth that speaks about your legislative priorities and gets people involved. Man a table signing up volunteers for office projects, other committees. Hand out a services brochure or “upcoming programs” newsletter as people cross the finish line. This may be the largest single gathering all year of people who are connected to and care about your mission. Make it count. Teams build community and camaraderie. It gives people an opportunity to rally together around a person, your cause, and something greater than themselves. Make your team program a priority. Participating empowers those you serve. A patient now has a reason to speak to co-workers, friends and family about their condition in a way that is inspiring and uplifting. Someone who was once homeless or hungry can now share their story of overcoming and give back, inviting others to join them. Participating gives your constituents a new, stronger voice. Set a Steady Drumbeat – Your event should be a reflection of your organization. People need to know it’s you, so stick to your core brand and voice. Create a name that builds off of your organization and its mission. Stick with the same colors and fonts. Weave your vision and mission throughout the copy and the execution of the event. Don’t Go It Alone – Recruiting, cultivating and training an active and engaged volunteer committee is no small task, but it is worth all the work. Create simple position descriptions for the various roles a volunteer can fill, so when you find someone who may be interested you can immediately a) let them choose the best position for their interests and skills and b) manage their expectations on what’s involved. Once you have even one volunteer committee member, meet regularly, have an agenda, ask them for a report of progress on their tasks. Act like the committee you want, regardless of the one you have. As your committee grows, it will grow on best practices. Just Because You Built it, They Won’t Automatically Come. Especially when your event is young, media and PR matter. Don’t take it for granted. You will need to develop a solid strategic communication plan that includes tactics to communicate with your list – internal promotion – and helps you reach new people – external PR. Don’t rely on email and Facebook, it won’t be enough. Plan lunch and learn events at local companies where you have a connection. Work with the schools to send home a flyer, recruit teams. Connect with local media – the small local papers – to run feature stories on volunteers or participants from their readership area. Relationships Matter. Personally call and recruit your top performers from last year. Check in on team captains and top fundraisers – phone or email. Even if they don’t answer or reply, your message is a ‘touch’ that lets them know you know who they are. When someone registers for your event, your job with them is not done. Use important tools like email auto-responders to map out ongoing communications of encouragement and support. When a team hits a recruitment number or a fundraiser hits a high level, celebrate on social media with a shout out. Send a ‘final details’ email to build excitement. Post updates on your website and on social media – you just secured some yummy snacks, signed on a new sponsor, hit a new goal. Invite your crowd to celebrate with you. Go Teams! Team programs are critical to long-term success. One good team captain could mean 10 participants and thousands of dollars. Develop specific tactics and tasks that will help you create a team culture and focus a lot of positive energy and effort on the recruitment and cultivation of your teams. It’s A Fundraiser First. From day one, embrace that the walk, ride or run is a fundraiser first and the walking, running or riding is just a means to an end. Your event should still be expertly managed, participants well taken care of, logistics solid, but set the tone from the beginning. Funding your mission is the goal. A really great event that drains resources and pulls focus without raising any real money is counterproductive. Experiences Worth Repeating. Your greatest recruitment tool for next year is this year’s event. Pay attention to the logistics on event day. Registration and check in will be the most insane part of the day – recruit more than enough volunteers, train them well, and ensure they’re having fun. Smooth logistics and happy volunteers make the most lasting impressions on participants. Have a smooth, short and compelling opening ceremony. The finish line isn’t a ‘throw-away.” Make sure the last thing they experience as they head home is engaging, well-managed and fun. It Ain’t Over When It’s Over. There is far more to successfully wrapping up your event than sending one thank you email. Take the time to develop a post-event cultivation plan. DO plan to take care of your key relationships. DON’T roll your event participants into every ask you make all year. Inundating them with endless asks will send them packing. Send top team captains and fundraisers a holiday card, a birthday email. Plan a simple past year celebration/new year kick-off event; recognize all top performers, announce details of the next year’s event. Invite participants to get involved in other programs or send them a brief update telling them about a wonderful recent program they helped fund. Peer-to-Peer fundraising through a walk, ride or run can be a tremendous growth strategy for your organization. Take time to assess whether your organization is ready to invest all it will take to make an event like this work for you.